The little ones had the job of pulling off the strings and clamps, Mr 2 thought that way great fun. I knew that hot glue gun would come in handy one day. This is the day. 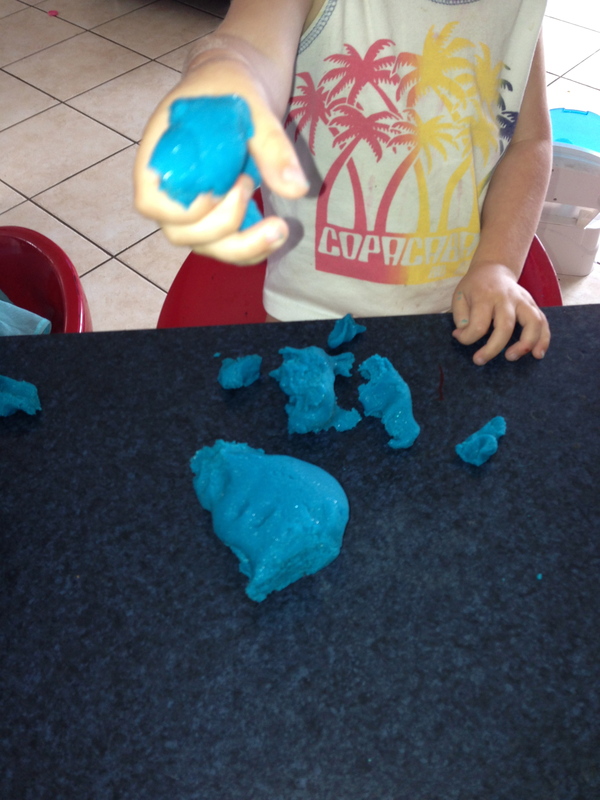 Mr 7 demonstrates. This is the back side where things don’t quite meet up. If I was to make another one, I would be more conscious of the size and make sure it fits the balls around perfectly – however, all is not lost as you can see next. Once all the balls are stuck down start inserting the tinsel between the cracks. I actually ended up using 10 meters (30ft) of this thin tinsel. I didn’t imagine it would require that much. The tinsel hides any ‘mistakes’ very nicely. And there you have it. It really needs a bigger star, but over all I am happy with the results. You can buy similar things pre made at Kmart for $12, but where is the fun in that? All up the project cost around $16. Inspiration for this idea came from something I saw at Spotlight. They used buttons though, which looked good, but buying enough buttons for the project would have blown the budget. I can’t believe how expensive those things are? Spotlight also didn’t have any of the cone shape styrofoam in stock, so I bought that from Riot Art and Craft. They are available in different sizes, I just chose 3 small ones to avoid arguments. 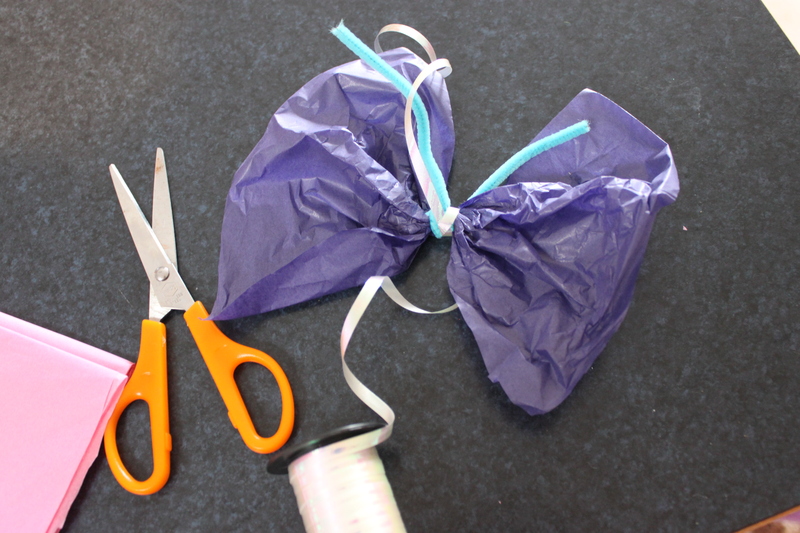 Wrap the foil around the cone and secure with clear tape. 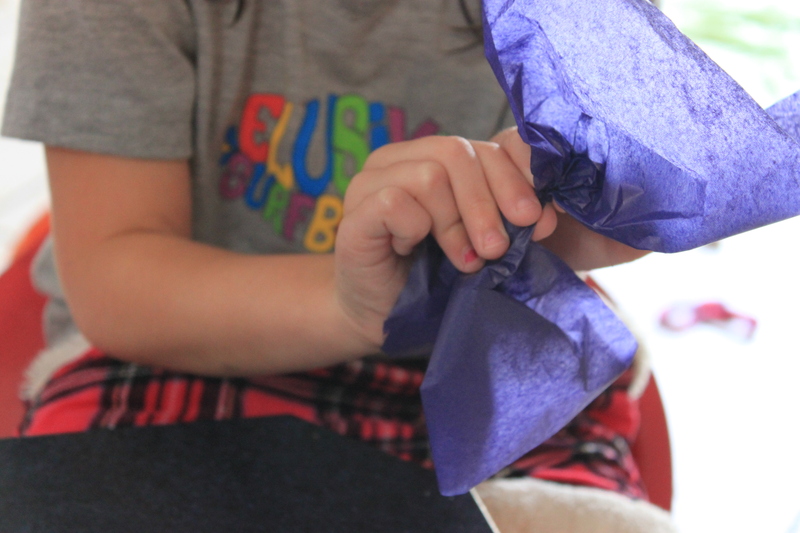 I crumpled up a ball of foil before spreading it out on one, to create a more rippled affect. I actually prefer how that one turned out. 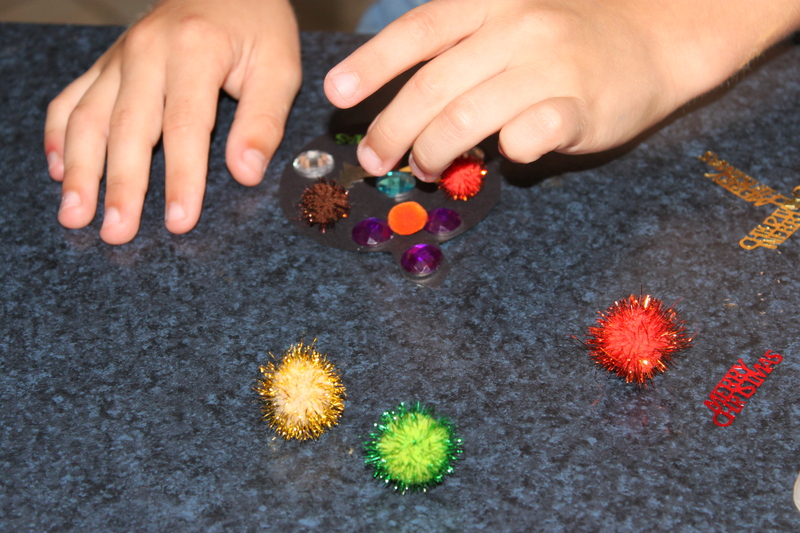 Once you have the foil secured and are happy with the finish, start placing the pins! Be careful when working at the top of the cone to point them down towards the bottom as you insert, so you don’t go straight through and poke yourself on the other side. The kids managed this fine, even Miss 3. We only had one ouchy, and that was actually me! Thread sequins onto pin and insert. 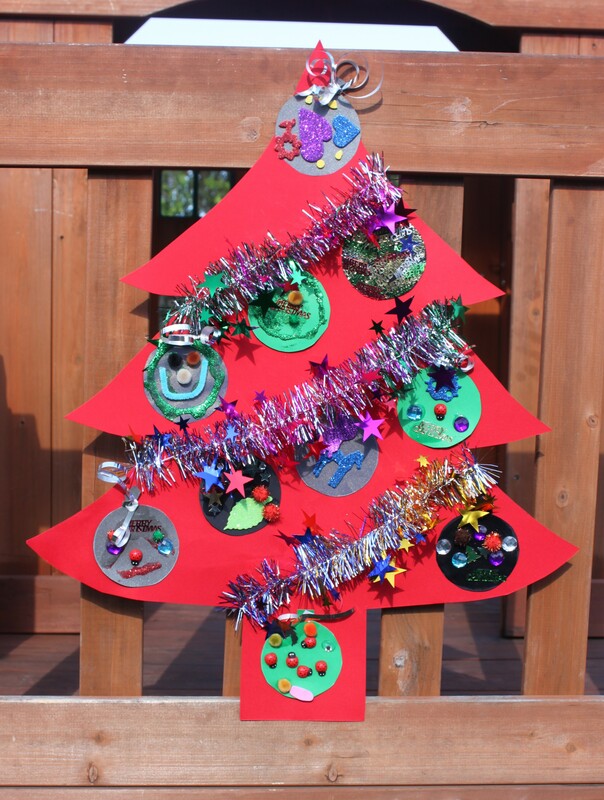 Christmas Kids Craft, Flat Christmas Tree Decoration. 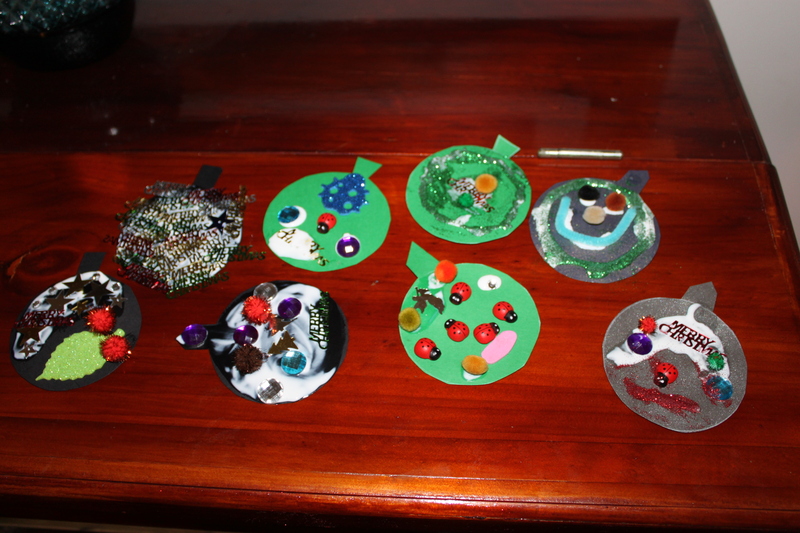 So our rainy weekend craft continued into Sunday afternoon. 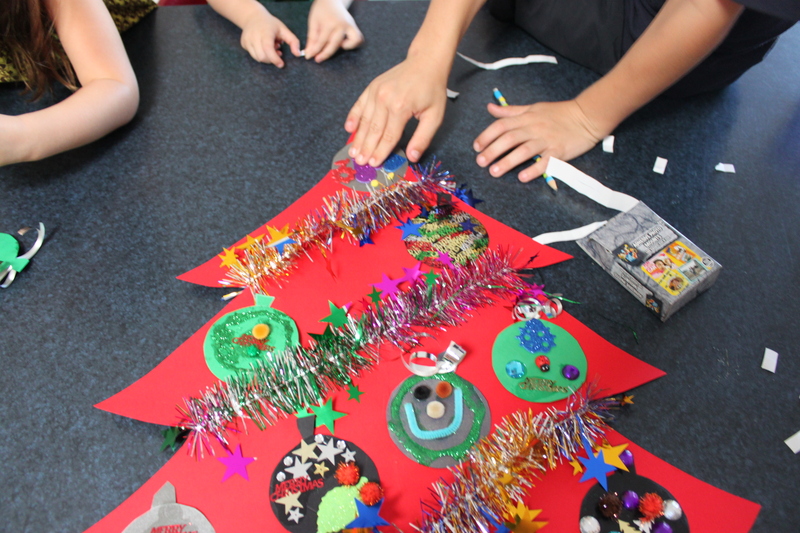 We started making Christmas decorations! 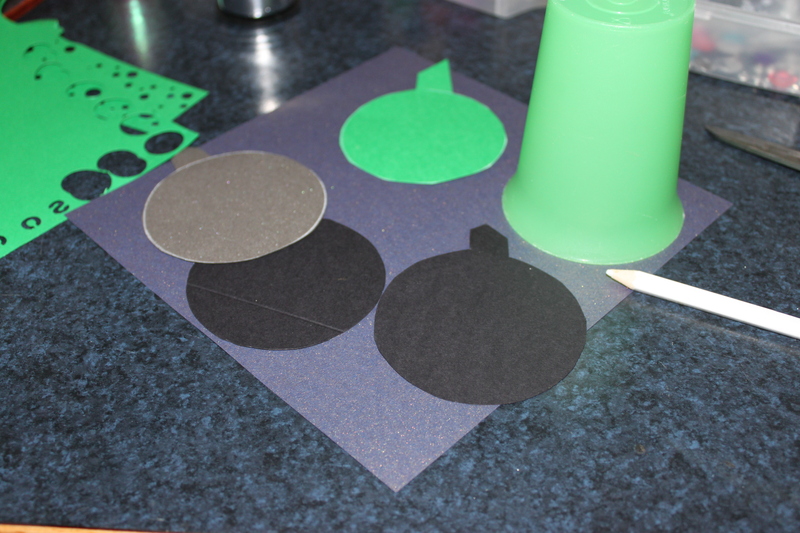 We just used a plastic cup to trace around, leaving a small section for the top of the bauble. 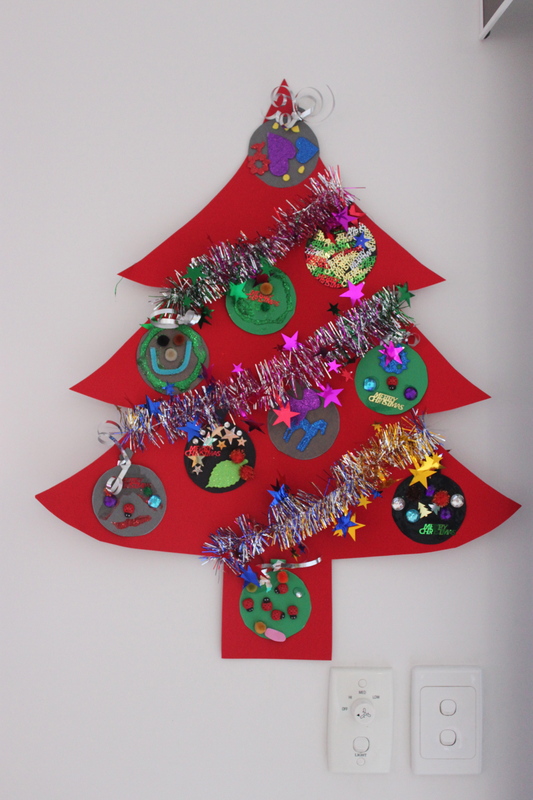 We all decorated 2 each. Some of the decorations had sticky stuff on the back, others required glue. 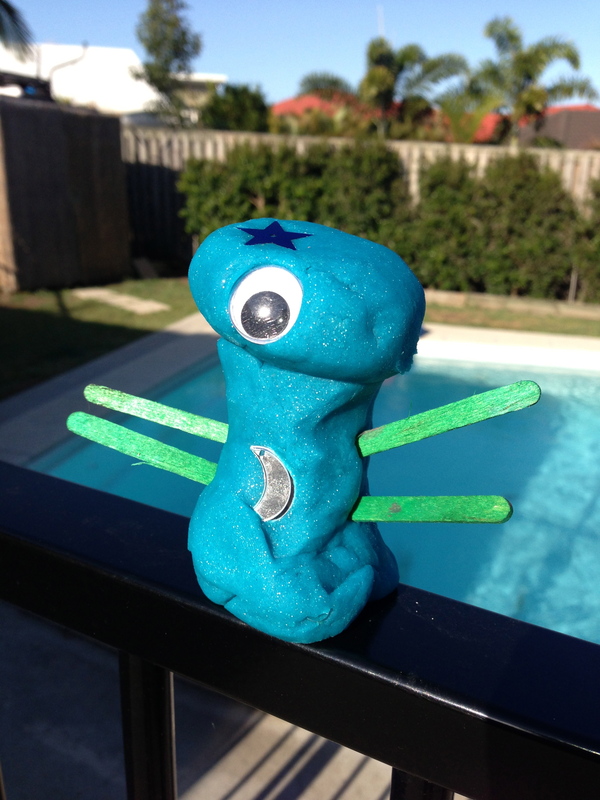 The kids made sure they used 500 times more glue than they needed – as you’d expect. Due to excess glue, we left them over night to dry. Yes, all that white stuff is glue. 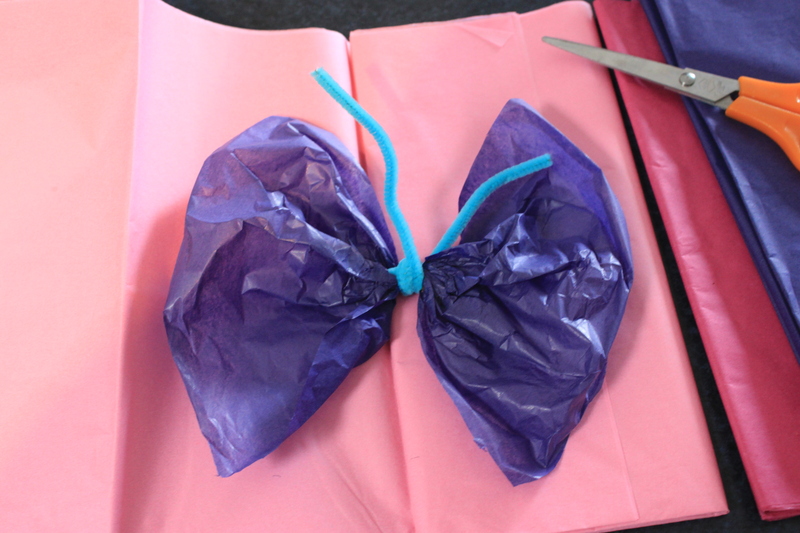 Fold the card over and cut along the line, so both sides are identical. 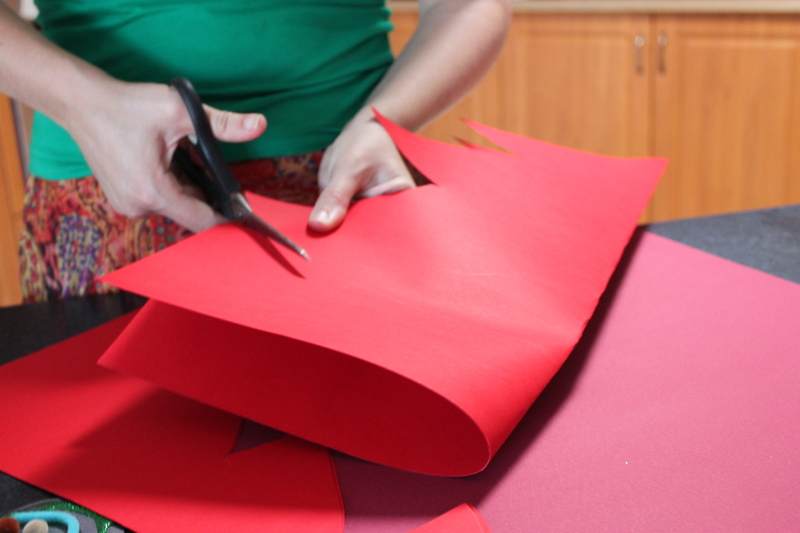 Fold in half down the centre of the tree and cut along outline, to create a symmetrical tree. Or, if you’re not OCD about that kind of thing like me, just draw a tree and cut it out! Loosely position everything to make sure it fits, then start sticking. We used double sided photo mounting tape so we didn’t have to wait even longer for glue to dry. The tinsel is stapled at each edge. After 2 days of rain the daughter was really tearing her hair out – or was that mine? I had plenty of work to do, but figured I best take some time out to entertain her. 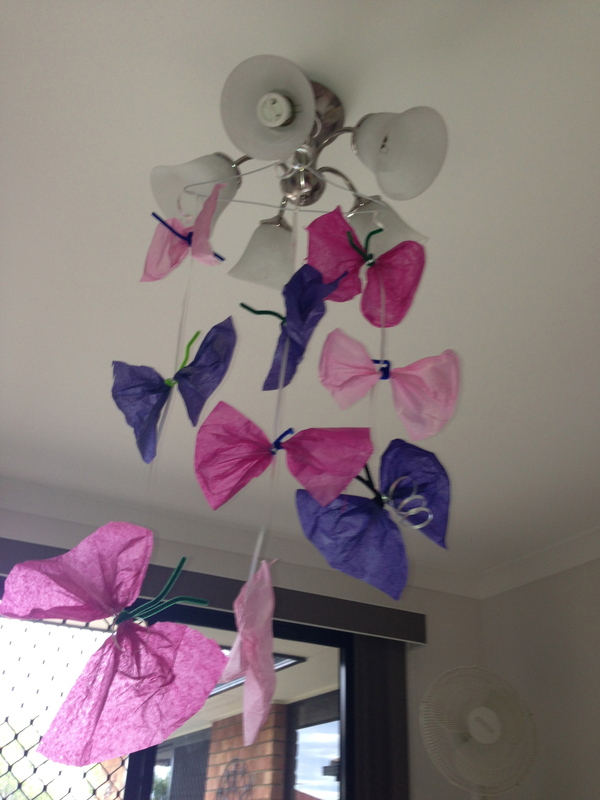 Once again inspired by ABC Play School They were making paper butterflies to blow in the wind, so I thought we’d just extend on that idea. 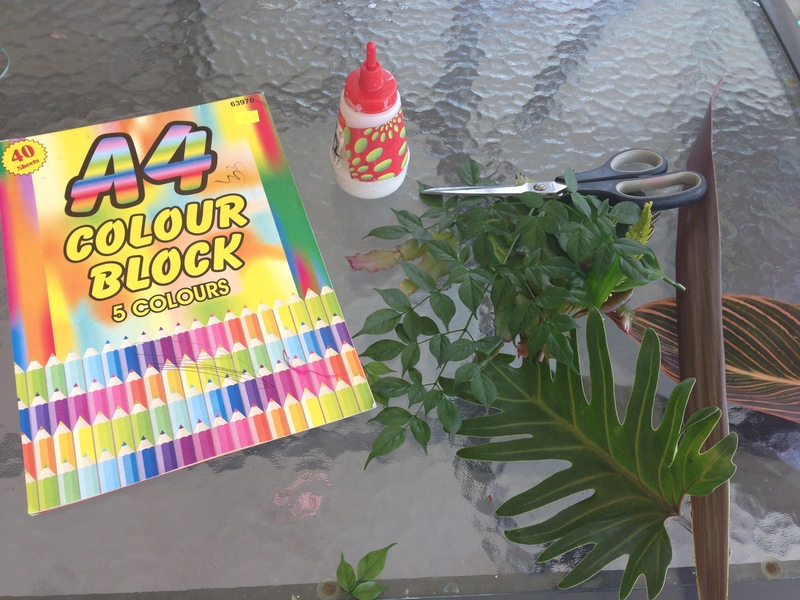 Cut squares or rectangles out of the paper and twist in the middle – as demonstrated by Miss 3. 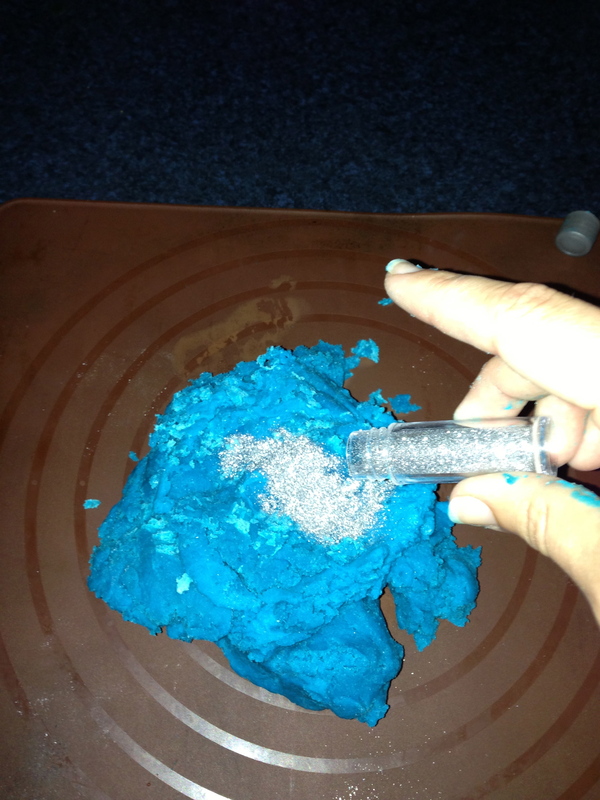 Twist a pipe cleaner around the middle. Twist a pipe cleaner around the middle. This is not entirely necessary, but I liked the addition of an extra colour and texture, as well as the antennae look it created. 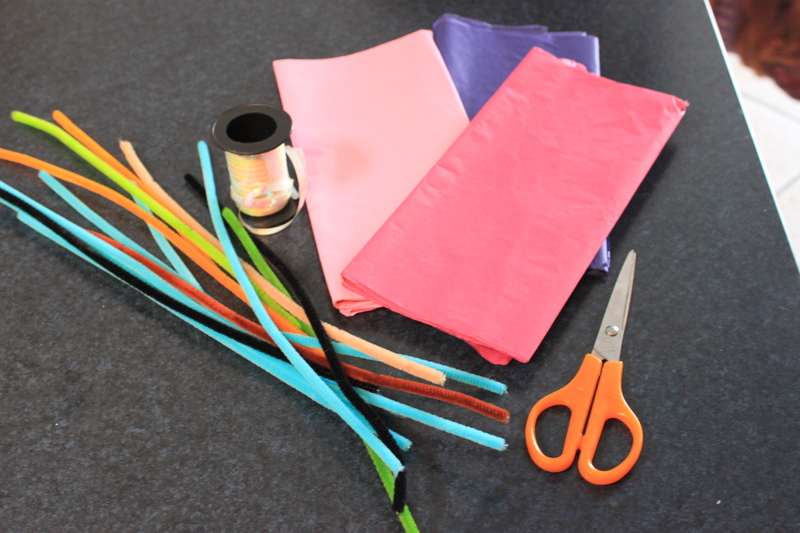 Attach your string or ribbon, keep attaching as many as you would like. We just did 3 on each string x 3 strings. And there you have it. Took less than 10 minutes to create and she thinks they are awesome. 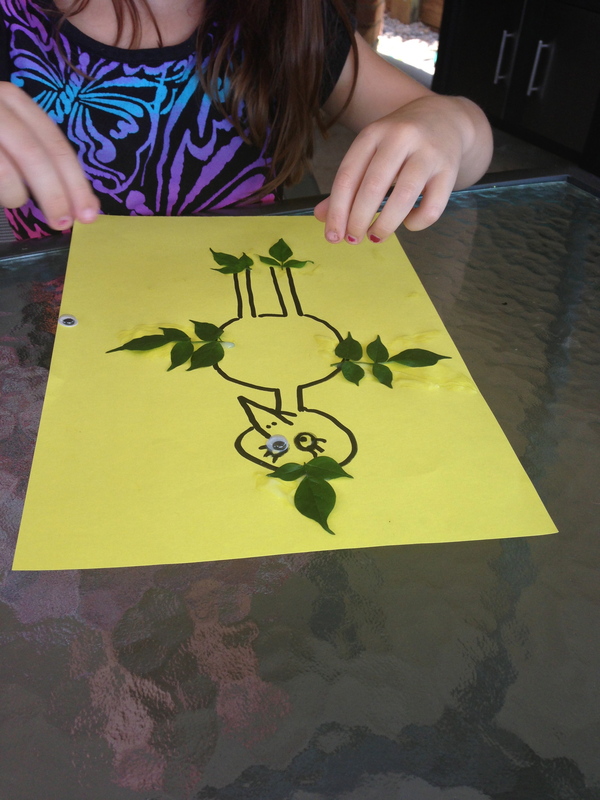 Easy Toddler Craft – Leaf Animals. 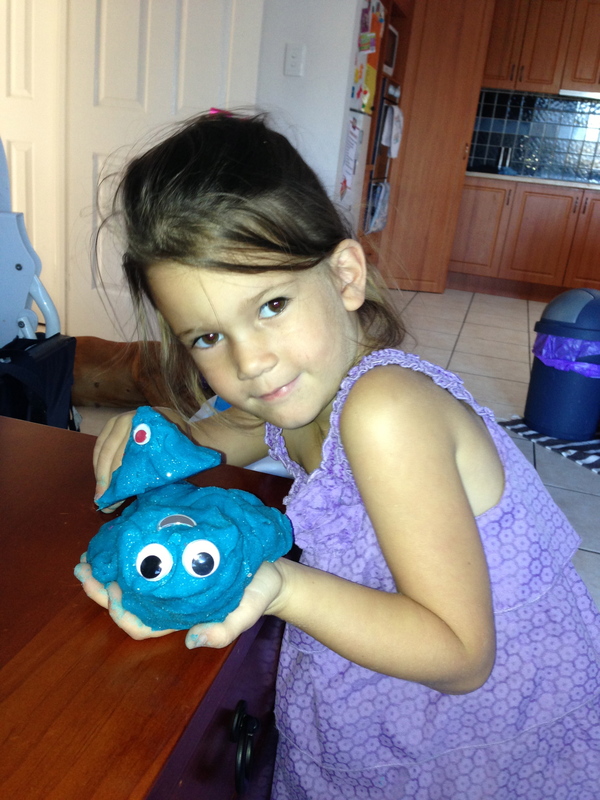 Inspired by ABC Play School. 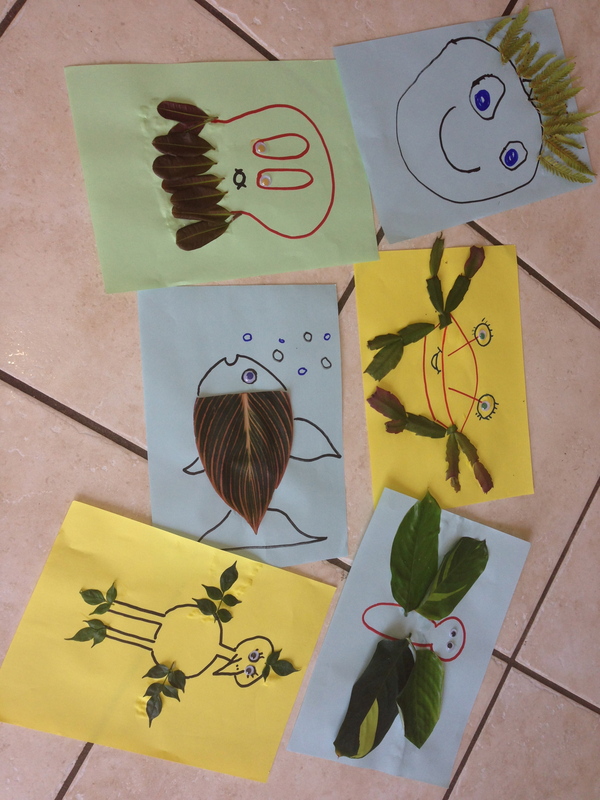 Today we made leaf animal pictures. 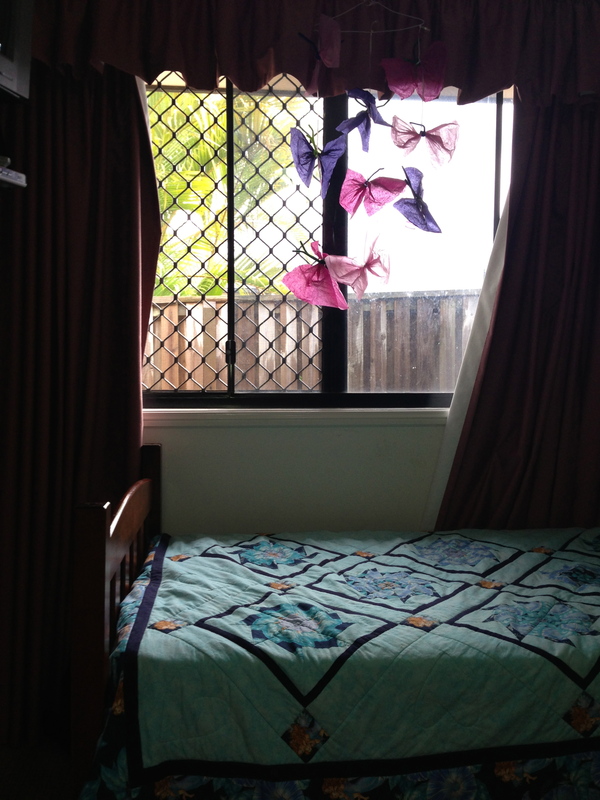 It was super easy with minimal mess. 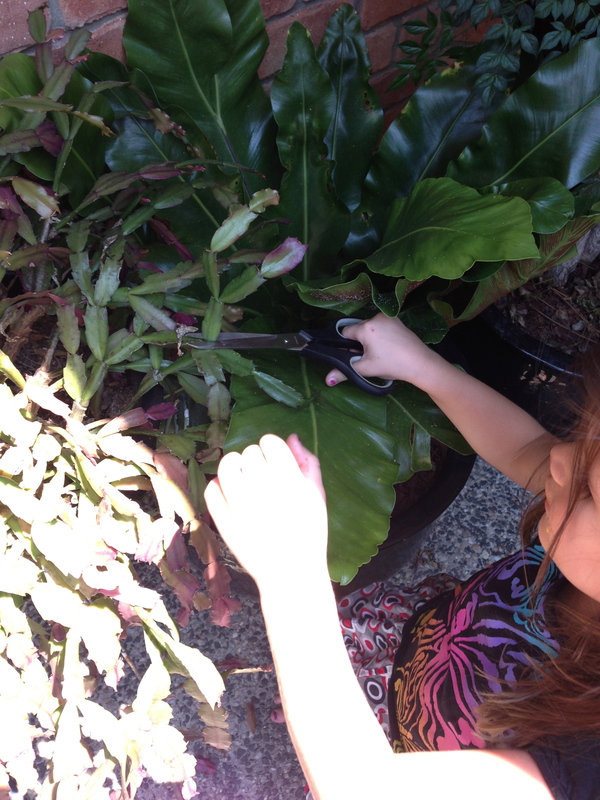 DD3 cuts some leaves from our garden. 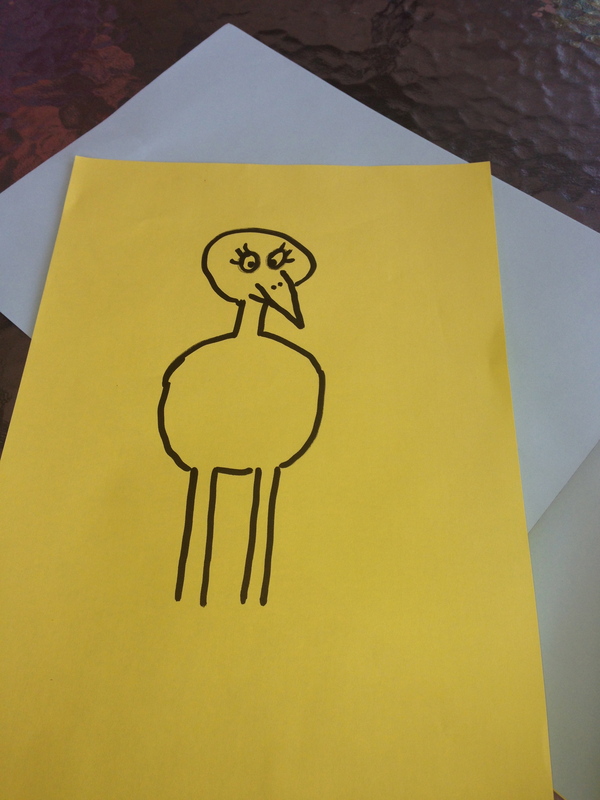 Draw some simple animals to add the leaves too, like this bird. 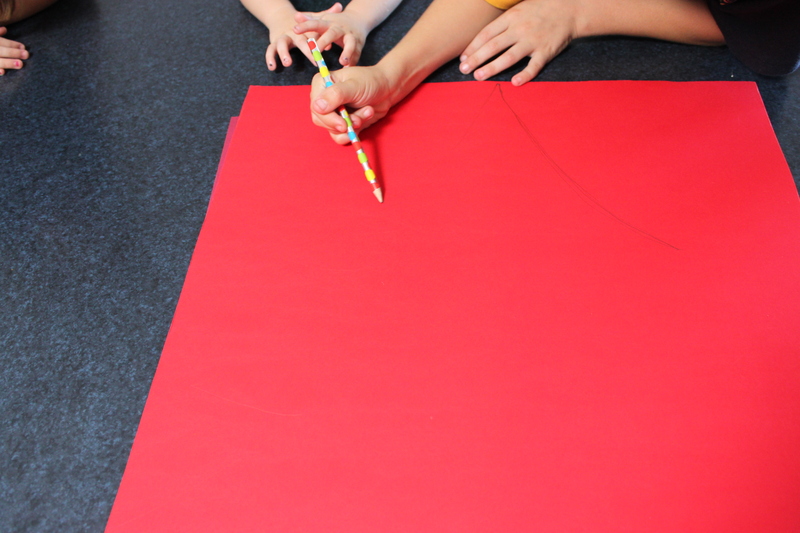 Draw the outline of some simple shapes on the paper using your makers. 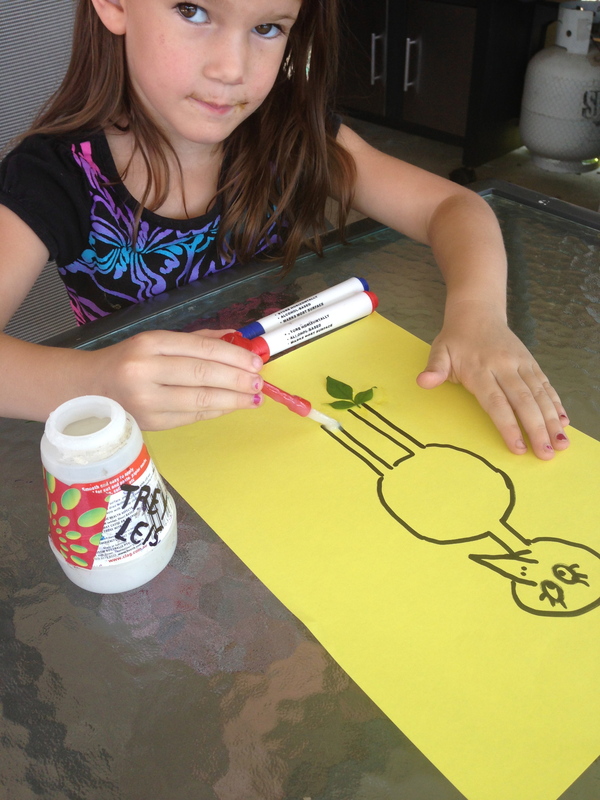 Glue on the best shaped leaf for the job! 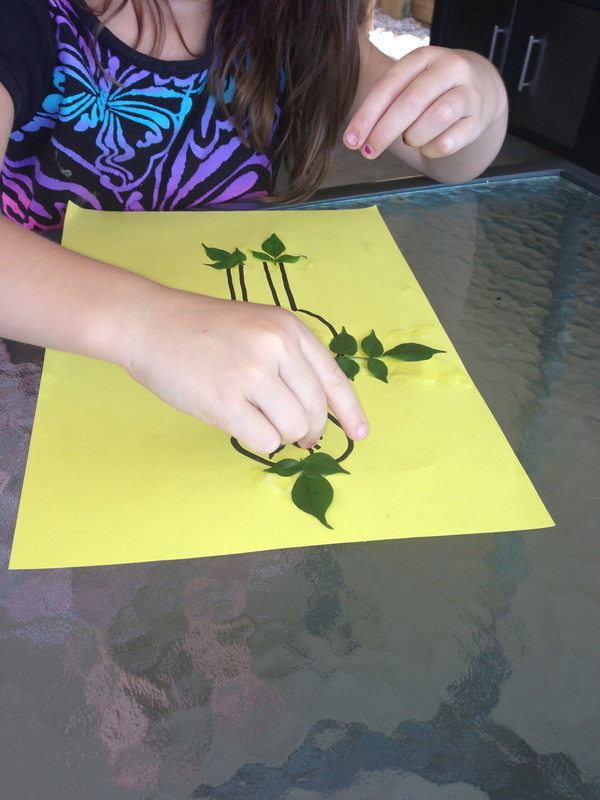 Start gluing on the leaves that best suit the picture. 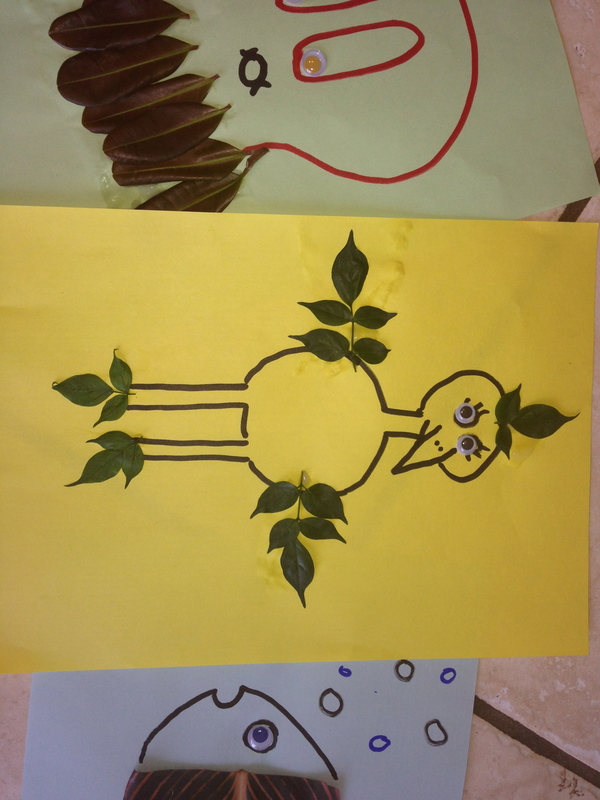 We used the same leaf configuration each time to finish off this bird. We used the tips of a China doll branch to create this picture. 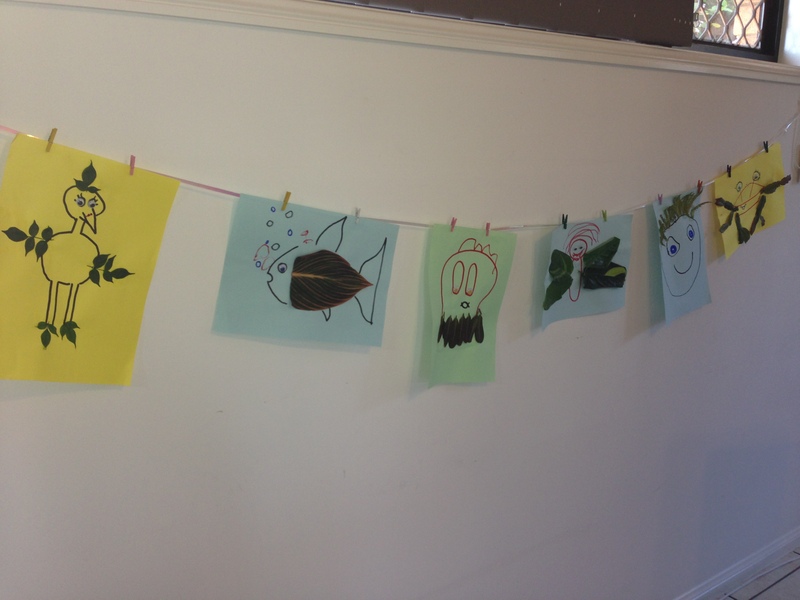 The finished masterpieces, drying on a flat surface. All dried and ready for display. All dry and ready to display. 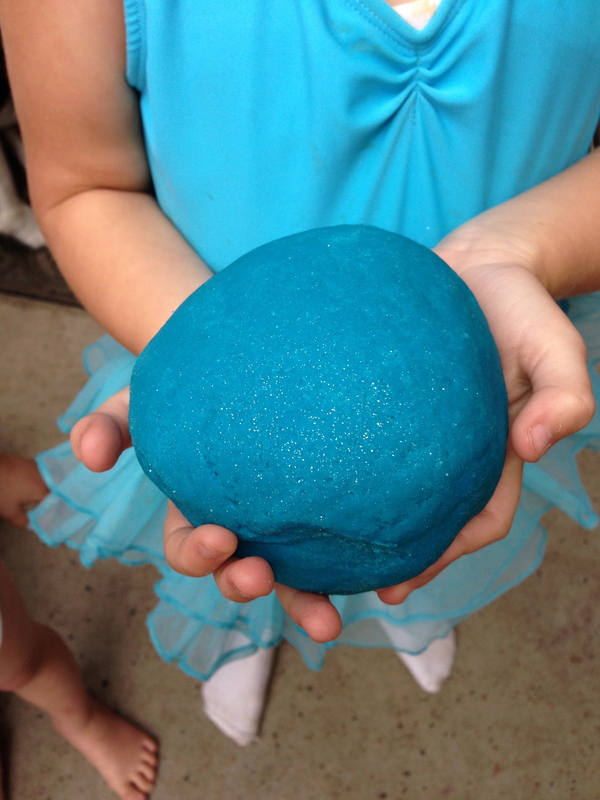 After establishing my daughter has low muscle tone, it was suggested by her occupational therapist that we use play dough to warm up her hands before any writing or drawing activities. 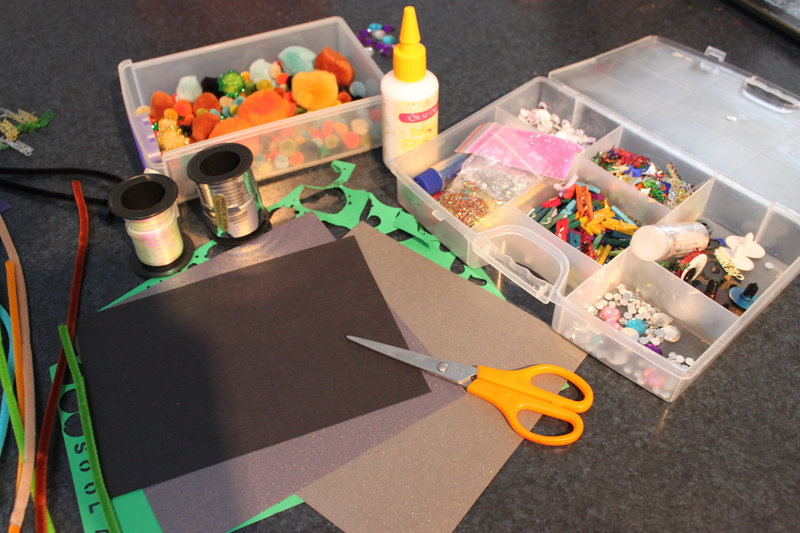 Obviously it also has many other benefits, like fine motor, creativity, blah blah, but anyway. After buying all the different brands and them still ending up dry and ‘ordinary’ after a week, I decided it was time I got off my little b-hind and made our own. 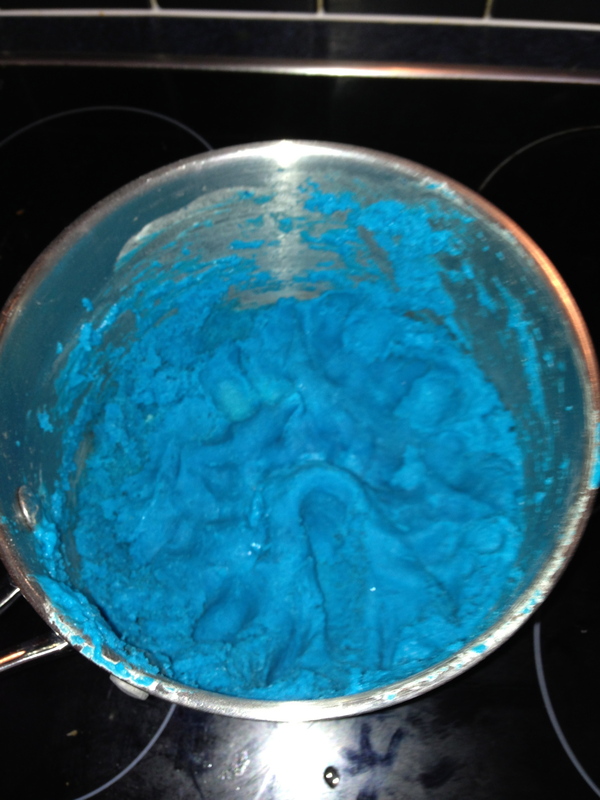 Unfortunately I only had blue food colouring on hand (because the kids always want some in the bath, so we go through a lot :s ) . I chose this recipe, as it had a 5 star rating. The only problem is I don’t have nor have ever bought cream of tartar? So some googling suggested I could omit it for baking powder and vinegar, but the vinegar was going to mess with the liquid content and ohhh, it all seemed too hard. So, as I do, I figured I’d just do a splash of this and a bit of that. 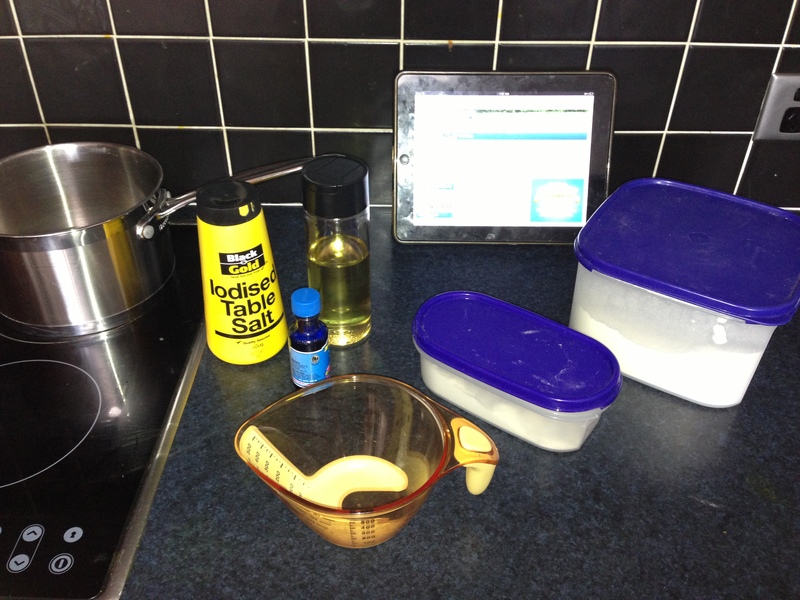 I used about 1 tablespoon of white vinegar and 2 tablespoons of baking soda. 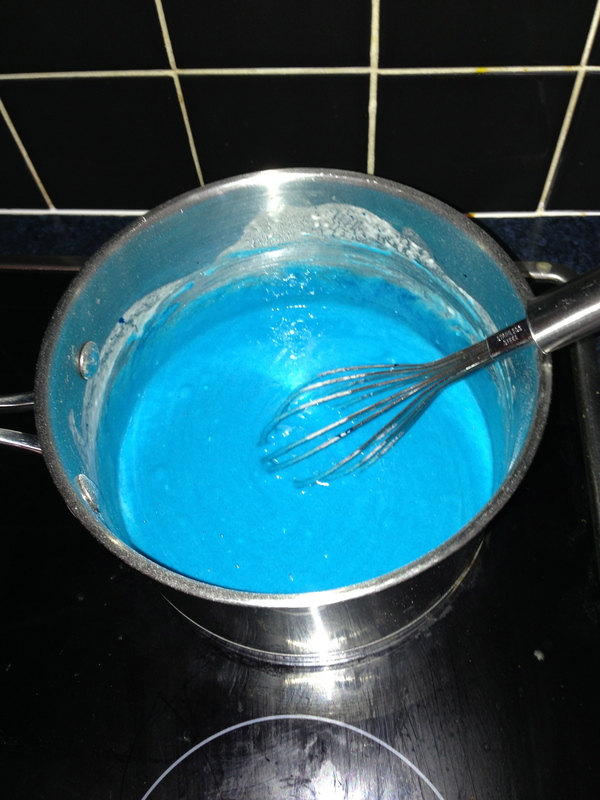 I mixed all the dry ingredients with a whisk, then added the water and the rest of the wet ingredients. It was very wet. The recipe does not actually tell you how hot to cook it, so I just went with 4, which is just below half way on my cooktop. This worked well. After just a few minutes it starts to thicken. 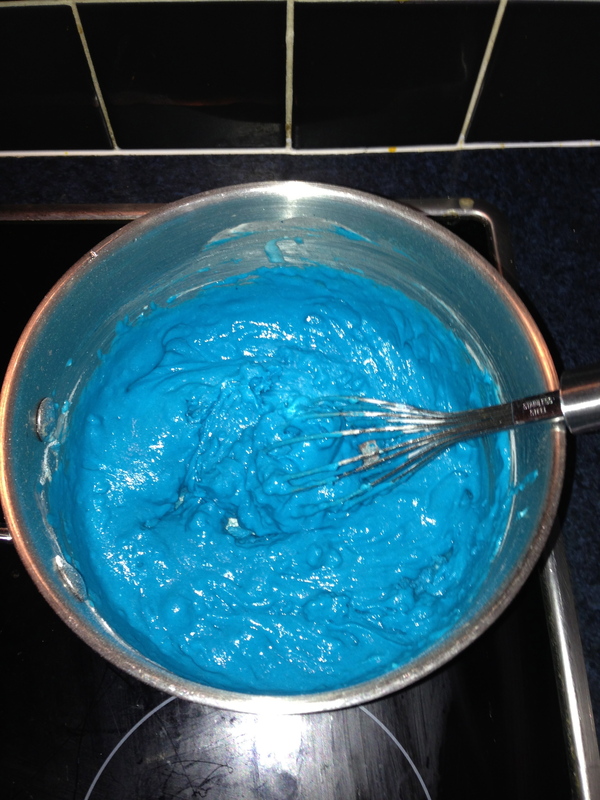 I continued working with the whisk to avoid lumps, but eventually it became too thick and was all getting stuck in the middle of the whisk. Soon enough, this is what we had. I used my fingers to test (first time they came away all sticky, much like a skewer in cake) but then it was just about right. Surprisingly even though it was still over the heat, it was not very hot to touch. I added a vile of glitter, because – well why not? I did this before the final kneading so it was well distributed. And here it is. The recipe says it makes enough for 4, but I’d say its more for 2. It turned out really smooth and soft. As demonstrated by Mr Grubby. 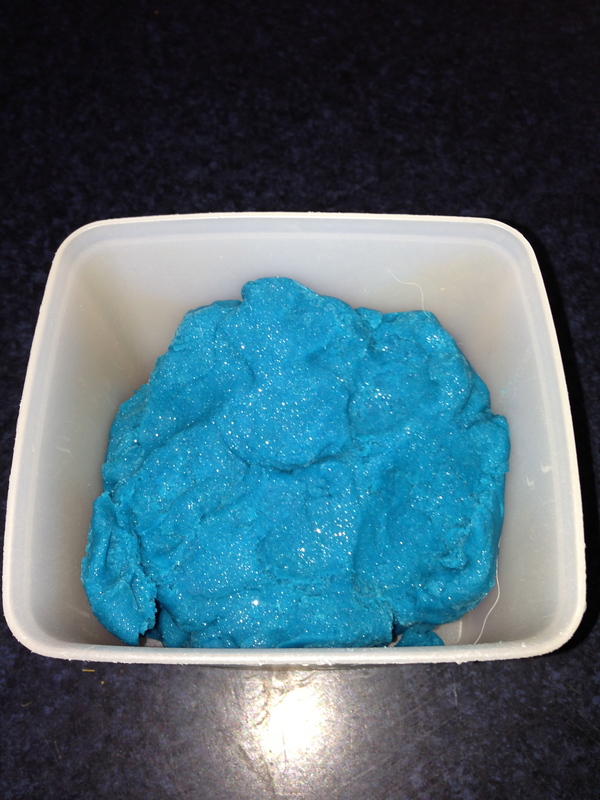 The recipe suggests it keeps for up to 6 months in the fridge. I like the sound of that, I’ll be happy if it lasts 2 weeks.